It’s all about you – the Exhibitor – and maximising the return on your investment at Architecture & Building Expo. Having again delivered on its audience promise last year and expanding to the prestigious Main Hall at the RDS. The event creates a truly unique sales and promotional platform that links suppliers face to face with specifiers.  This October, on Friday the 5th and Sat the 6th Architecture & Building Expo will again be staged alongside the Royal Institute of the Architects of Ireland (RIAI) annual conference with record attendances at this central Dublin venue. More than doubling in size in four years the 2018 event will again have Ireland’s premier architecture magazine – Architecture Ireland – as its media partner providing a particular resource in promoting the show and its exhibitors to its architect readership. The latest products and technologies from an impressive line-up of the industry’s top suppliers. With colleagues and the construction industry’s top suppliers who will present the latest products and technologies. Invaluable face-to-face discussions. Why not bring technical challenges you experience on projects to the show and get specialist advice from the suppliers. Insights into the trends shaping architecture and building in Ireland and prepare for the ever changing built environment for the year ahead. Architecture & Building Expo is now the premier annual event in architectural and construction products and a showcase in design and innovation. It is the must visit event for everyone in architecture, design and construction. The place to be – running alongside the prestigious Royal Institute of the Architects of Ireland Annual Conference, Architecture & Building Expo is tailored to allow the sector’s suppliers a truly unique marketing opportunity to specifiers. Leading Exhibitors – Growing each year the show attracts the leading names in construction products. The Architects Choice Awards – As an Exhibitor at Architecture & Building Expo you can enter your product in these coveted awards which are judged by a panel of distinguished architects. Award winners are published in Architecture Ireland magazine, on the magazine’s website and in social media. Be part of this powerful networking opportunity where Exhibitors talk face-to-face with the country’s top architects and technologists.